The idea is to try and update these pictures as the season progresses if I have enough time. 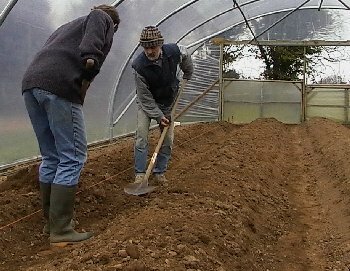 Making beds in tunnels ready for strawberry planting - February 2003 We have spread about 30 tons of muck on the fresh strawberry ground for this year. 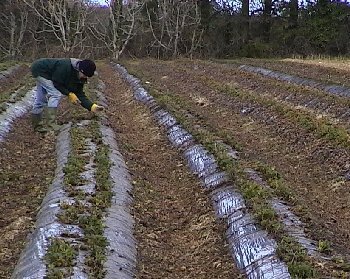 We have to clean all the dead leaves from the strawberry plants each spring. 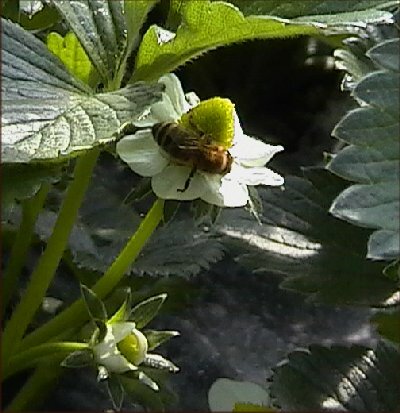 We have honeybees to pollinate the flowers. 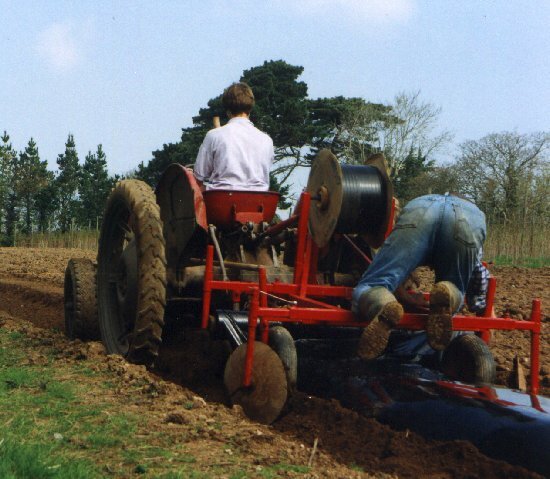 This is how we used to make and cover the new strawberry beds each spring. 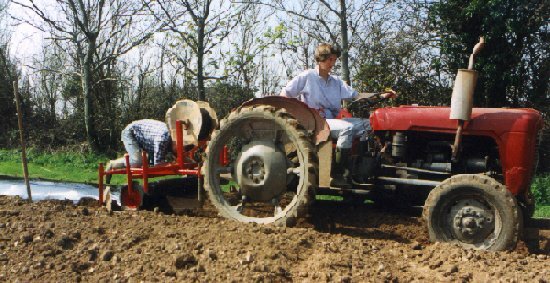 The rear mounted rotovator breaks up the soil and forms the raised bed. 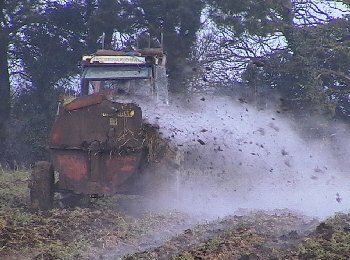 The black hopper on the front of the tractor drops fertiliser onto the bed ready for the rotovator to mix it with the soil. 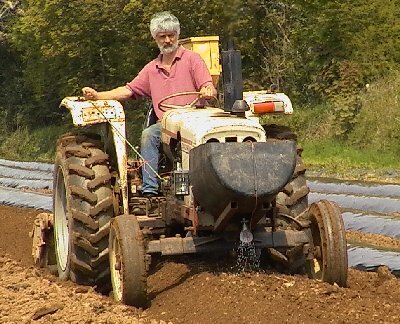 Having made the beds we then have to lay a line of irrigation and cover the whole bed with polythene. The reel of irrigation is on the top of the machine and the polythene is underneath.